Congress, the IRS and state attorney generals closely scrutinize the operations of exempt organizations. 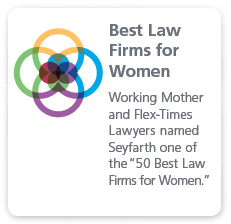 Seyfarth counsels a diverse group of tax-exempt and nonprofit organizations, including hospitals, health systems, physician groups and other healthcare organizations as well as their officers, directors, and contributors. We have formed numerous public charities, private foundations, charter schools, business leagues, employee benefit trusts and other exempt entities and have guided them through the process of obtaining IRS and state recognition of their tax-exempt status. private inurement and private benefit issues. In addition to a comprehensive array of tax services to exempt organizations, we provide a full range of other legal services tailored to tax-exempt organizations, including commercial and tax-exempt bond financing, real estate, litigation, labor and employment (including various issues relating to volunteers and interns), corporate, antitrust, insurance, intellectual property, data privacy and other issues. 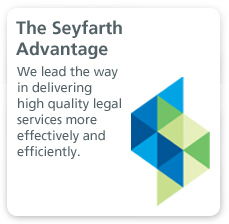 Our clients benefit from Seyfarth's leading employee benefits practice, which offers counseling and planning in the design and implementation of all forms of retirement and welfare benefit plans, qualified and non-qualified. Our experience includes extensive work in the implementation and administration of Section 403(b) plans. This combination of technical tax knowledge and broad-based support in non-tax areas is essential in today's complex legal environment. effects of employee- and asset-sharing. We have formed and obtained IRS approval for exempt and taxable affiliates of major hospitals, educational institutions, preservation groups, trade associations and other tax-exempt clients. We regularly work on mergers and other transactions involving anything from small nonprofits to multi-party consortiums and multi-billion dollar healthcare systems. Joint venture arrangements have included both general and limited partnerships, limited liability companies, Delaware series limited liability companies, participating loans, donor-advised funds, fiscal sponsorship agreements and program-related investments. overseas program-related investing by private foundations. state efforts to impose user fees or other payments in lieu of taxes; and increasing state regulation of income-producing and fundraising activities. We advise exempt clients about the permissible scope of their political campaign activities and direct and grassroots lobbying. This includes related issues such as the effect of lobbying on the deductibility of association dues. Another significant service to our tax-exempt clients is lobbying. Our lawyers represent exempt groups before local, state and national legislative bodies, as well as administrative agencies such as the IRS, the Department of Health and Human Services, state contribution solicitation agencies and local tax assessment offices. Avoiding or coping with private foundation status is a major focus of our practice. Qualifying as a supporting organization or a publicly supported organization may be essential to an exempt entity's operational and fundraising plans. We have assisted numerous clients in obtaining definitive or advance rulings on public charity status and in regaining that status after tentative adverse rulings by the IRS. We also counsel clients concerning the various uses for donor-advised funds. New regulations on supporting organizations and donor-advised funds are sometimes more restrictive than the private foundation rules, and we have assisted several organizations that, as a result, decided to opt into private foundation status or convert from 501(c)(3) to 501(c)(4) status. the layers of excise taxes used to enforce the private foundation regulations. We have extensive experience with program-related investments in their myriad forms, and have advised several private foundations in converting their own grant-making procedures and tools into a platform for program-related investing. We advise these clients on such issues as tax consequences of gifts of appreciated securities, real estate, life insurance policies, and artwork, and the IRS gift disclosure and acknowledgment requirements with respect to each. We work with our clients in the development and implementation of planned giving transactions involving the use of charitable lead trusts, charitable remainder unitrusts and annuity trusts, pooled income funds, supporting organizations, donor advised funds and private foundations. We have counseled our clients on the use of charitable gift annuities and obtaining permission to issue such annuities in different jurisdictions. guidelines on disclosure of non-deductibility. Our lawyers review annual information returns and tax returns for non-exempt activities, and prepare disclosures relating to major charitable gifts and other required IRS filings. Administrative dealings, audits, tax controversies and other litigation at the federal, state and local levels form another major part of our exempt organizations practice. Exemption applications, requests for rulings and technical advice, assistance on audit and litigation over tax liabilities and tax status are obvious examples. Equally important, however, are other types of litigation such as suits to reform defective charitable trusts, interpret or modify restrictions on charitable gifts, and apply the cy pres doctrine to restricted gifts whose purposes cannot be achieved fully. We have significant experience in IRS alternative dispute resolution using the Fast Track Settlement Program, an expedited process for the IRS and tax-exempt organizations to resolve disputes before a formal appeal is filed or the parties go to court. The process can provide a significant time and cost savings to exempt organizations. major donor and public relations. 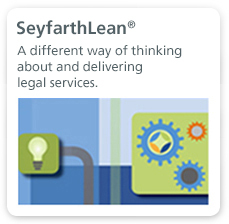 Seyfarth provides legal advice to nonprofit organizations on employment and compensation matters, such as termination of employment and compliance with applicable labor and employment laws. Nonprofit organizations also face increased scrutiny by the IRS with regard to the compensation and benefits paid to directors and senior management. We advise clients on how to invoke the rebuttable presumption of reasonableness and to otherwise avoid or, when necessary, correct, excess benefit transactions. We also provide general business advice and legal counsel to our trade and professional association clients. 1/30/2019 Sheryl Dacso a Panelist for Strafford Live Webinar "Global Telehealth: Complying With the FCPA, Privacy and Security Laws, Fraud and Abuse Laws"